My 13 year old niece and I planned this bento. I am proud of her concept and planning. She even created a grocery list for me! 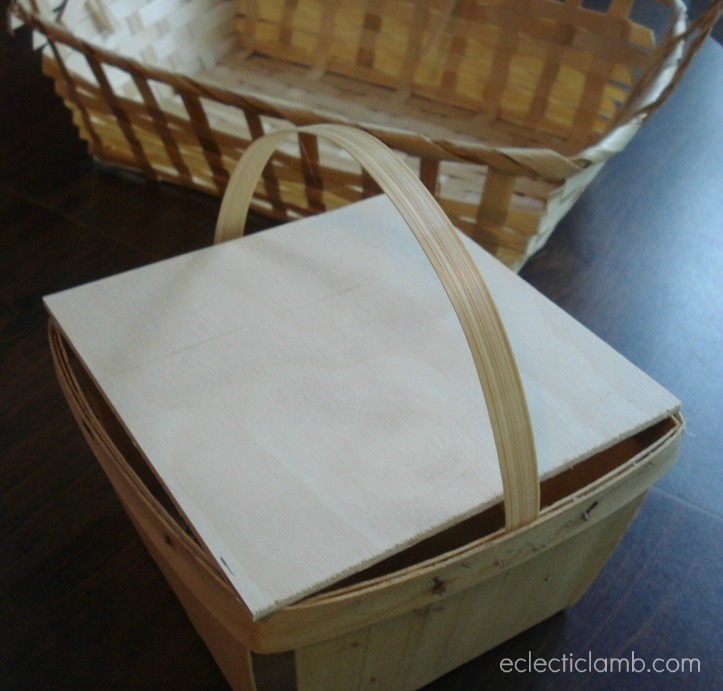 I used a wooden berry basket and added a wooden cover (my husband cut some craft wood to fit). I took apart a dollar store basket to create a handle. My handle is temporary but you can add a staple to make it more permanent. 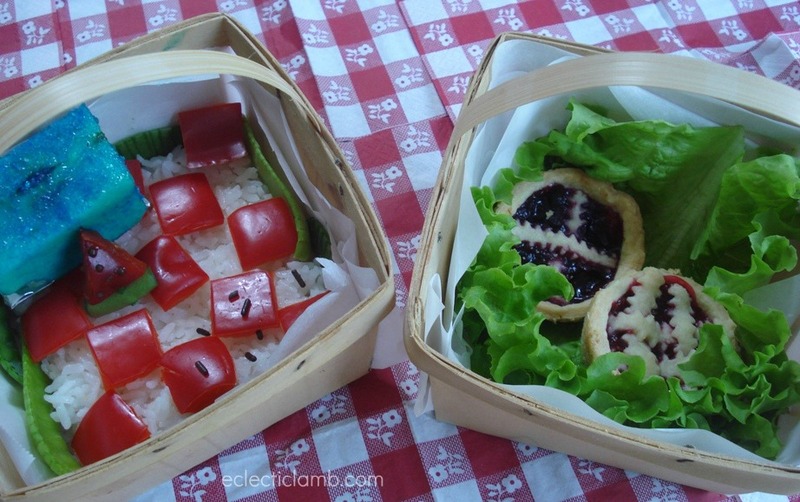 I love the “ants” to make the picnic bento more real! The jam tarts are “calling my name!” You & our niece did a great job! Chocolate sprinkles for ants is a terrific idea!